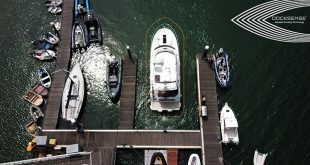 Racine, WI (July 8, 2016): Although strategic planning, R&D, manufacturing, marketing, and sales are all responsible for the HELIX success story, Humminbird® brand manager Jeff Kolodzinski also credits end-users for leading the company down the right path. Based on this feedback, Humminbird launched HELIX 5 in November 2014, adding HELIX 7 a few months later in 2015. The latter culminated in Humminbird’s fifth consecutive “Best of Show – Electronics” win at ICAST 2015. Voters championed the HELIX 7 for its ultra-bright screen, pro-level features, and real-world pricing. And dealers reported strong sales from day one, many selling units as fast as they could stock shelves. Outdoors retail expert Tom Keenan is also a winning walleye pro who relies on HELIX 10 units to climb leaderboards. Following the launch of HELIX 7, many anglers saw the handwriting on the wall for even larger HELIX units. 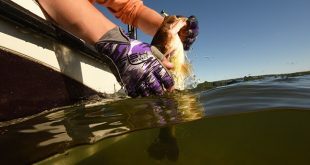 “Anglers absolutely loved HELIX 5 and 7, but immediately starting asking for the same display brightness, ease of use and features in larger screen sizes,” says Kolodzinski. 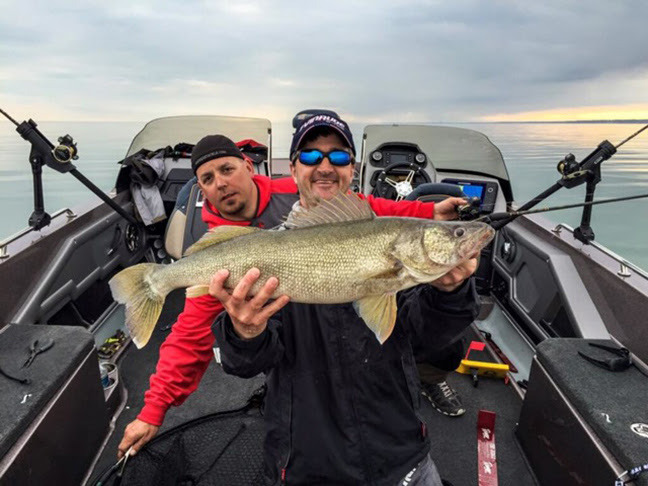 Anglers also asked for the ability to network multiple units and utilize technologies like Minn Kota® i-Pilot® Link™ and Humminbird 360 Imaging™, which operate via ethernet connection. “Based on the importance of sharing waypoints and data between console and bow units, the decision to add an ethernet port to HELIX 9 and 10 models was a no-brainer. This also gave HELIX users the ability to tap the power of Minn Kota i-Pilot Link and 360 Imaging,” says Kolodzinski. To those in retail, listening to customers seems like common sense. But in the world of marine electronics, customer-driven product design is still a fairly recent development. Not at Humminbird, who have embraced end-user feedback for decades. “Years ago, then-Humminbird CEO Jim Balkcom discovered that fishermen didn’t necessarily want more bells and whistles; they wanted easier-to-use units that could be read in bright sunlight. This ran contrary to their expectations, but they decided to trust the end-user. That led to Humminbird’s development of the LCR Series, the first LCD fish-finder, which accounted for the company more than quadrupling its revenue within three years,” says Kolodzinski. Sounds familiar, doesn’t it? Fast-forward 30 years and today’s anglers are requesting almost the exact same attributes in an ideal fish-finder. And it’s called HELIX, a name and product that signifies Humminbird’s very DNA – bright, rugged, reliable, and easy to use. But Humminbird didn’t stop there. New HELIX 9 and 10 units also offer anglers the revolutionary power of cartography products like AutoChart Live and SmartStrike™ – but more on that later. 2015 B.A.S.S. AOY Aaron Martens relies on a HELIX 10 (left) to keep him on fish-holding spots via LakeMaster charts. And HELIX units just look cool, with that rare industrial design “wow” factor of a Dyson vacuum cleaner or iPad. Bold aesthetics start with HELIX 9 and 10’s integrated screen and frame that forms a single, continuous surface, surrounded by an ultra-slim bezel that also maximizes screen real estate. 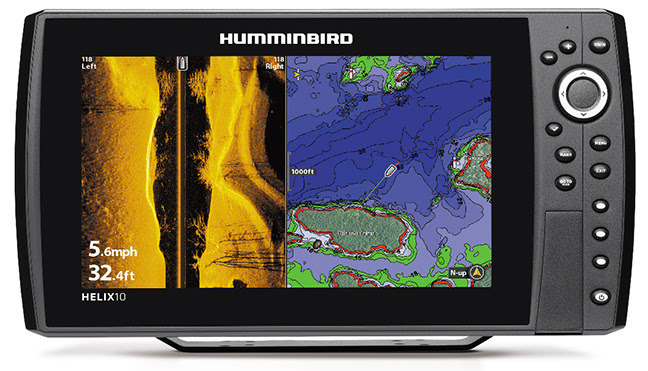 Almost flush to the edge, the 16:9 widescreen format allows easy split-screen viewing of Humminbird imaging technologies and LakeMaster cartography. Structure, contours and fish marks almost pop off the glass-bonded display with 1500 Nits brightness for optimal, glare-free viewing, even in full sun. That’s 50% brighter than legacy units like Humminbird 900 and 1100 series fishfinders. But the rubber hits the road when customers leave the retail space and hit the water. Excelsior, Minnesota’s Kenny Tietz is an avid angler who is extremely satisfied with his recent investment. Tietz is now mapping the lake he lives on via AutoChart Live on his Humminbird HELIX 10, another awesome feature. “It’s just plain easy to use, see, and find fish,” says Tietz. This level of intuitive control starts with the HELIX 9 and 10’s user-friendly operating system called REFLEX Interface, X-Press Menu System keypad control, and three programmable shortcut buttons to quickly recall your favorite screen views. 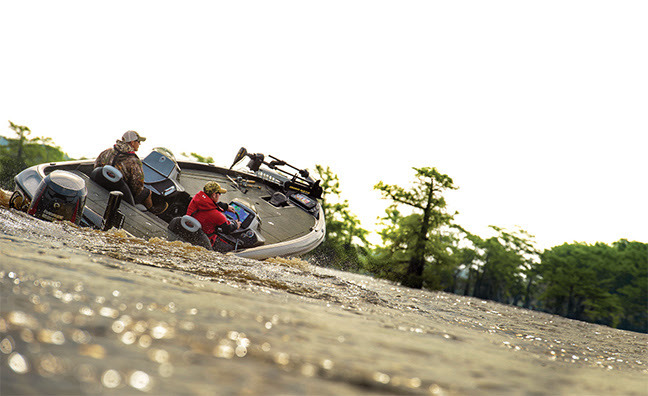 REFLEX recalls much of the same navigation as previous Humminbird units, making learning HELIX a simple transition for former Humminbird users. 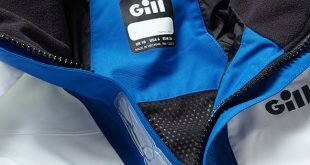 Another cool feature of both HELIX 9 and 10 is a completely redesigned cable management system that allows anglers to connect all cables (including networking Ethernet) in one fell swoop, and secure them with an easy-to-use clamp mechanism. This quick-release cable system also makes removing your HELIX 9 or 10 at the end of the day for safe-keeping a breeze. Entrance into the world of user-generated mapping starts at $699.99 retail with the HELIX 9 SONAR GPS. Besides screen brightness, a new REFLEX user interface and more, the most significant selling feature of HELIX 9 and 10 is AutoChart Live, which allows anglers to build their own maps in real-time right on the screen, no PC, server or Cloud required. This puts unrivalled power in angler hands to navigate, study and fish both uncharted waters and dial in “spot on the spot” locations on waters that have been mapped. AutoChart Live is becoming a staple with anglers of all stripes — from anglers in remote locations, those fishing lakes that simply haven’t been surveyed, and tournament anglers who require the utmost in chart detail for a competitive edge. Users praise the immediacy of it, how maps literally appear right in front of your eyes, no PC conversion or uploads required. And because the data is processed right on the HELIX, data is kept private, ensuring your hard-earned information doesn’t end up in the wrong hands. Share if you’d like with a friend, but it’s your choice. Plus, once your map is created, you can use LakeMaster’s three patented features of Depth Highlight, Shallow Water Highlight and Water Level Offset, as well follow or offset a contour via Minn Kota iPilot Link-enabled trolling motors. And that’s only part of the cartography power HELIX 9 and 10 units offer. 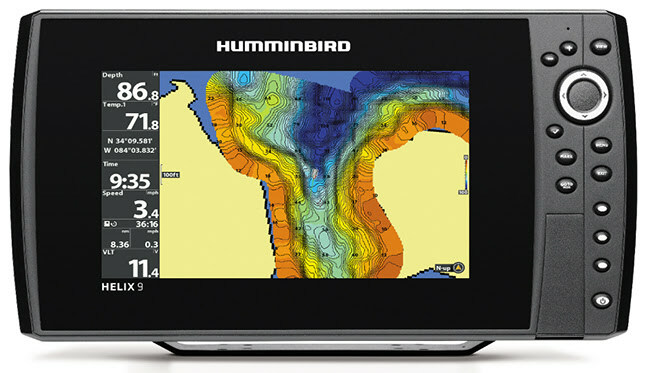 Dual SD card slots also allow anglers to utilize Humminbird LakeMaster PLUS map cards, which not only provide 1-foot HD contours for many lakes and use of LakeMaster’s three patented features, but also three layers of satellite aerial image overlay. Dual card slots also make saving screenshots, sonar recordings and nearly limitless waypoints, tracks and routes a breeze. Then, just when anglers thought new HELIX 9, 10 and 12 CHIRP units couldn’t get any better, Humminbird issued some big news at this year’s Bassmaster Classic in Tulsa, Oklahoma. 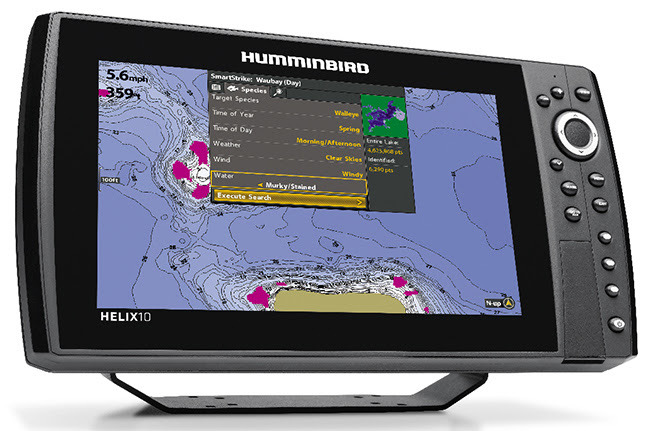 A free HELIX 9 and 10 software upgrade now allows compatibility with Humminbird’s SD card-based predictive fish patterning software called SmartStrike, once limited Humminbird ONIX units. “When I first heard about SmartStrike I had no idea how it could possibly work, but then I started using it and my mind was blown. We all know the importance of pattern fishing—at it’s most basic—location plus presentation. As far as determining location, this thing works and simplifies pre-fishing, especially on larger waters. 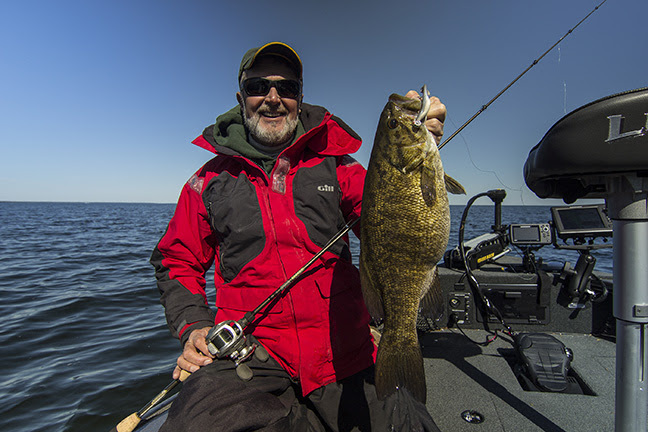 When you establish a hot fishing pattern – say pitching Jigging Raps or plastics along a specific contour – SmartStrike shows you everywhere on the lake that has the same depth, structure, and other attributes, so you can take that pattern across the lake and catch more fish,” says Al Lindner. Fact is, from the introduction of HELIX 5 in 2014, Humminbird has built a fish-finder family that levels the playing field. In an industry that has priced many anglers out of cutting-edge fishing electronics, the customer wins with HELIX. In a world where the price of an average fishing boat is well into five figures, $699.99 to $1499.99 is not an unreasonable amount to spend for a nine- or 10-inch ultra-bright screen with a host of fish-finding tools, including SwitchFire SONAR, Side Imaging, Down Imaging, AutoChart Live, and compatibility with other leading-edge technologies. 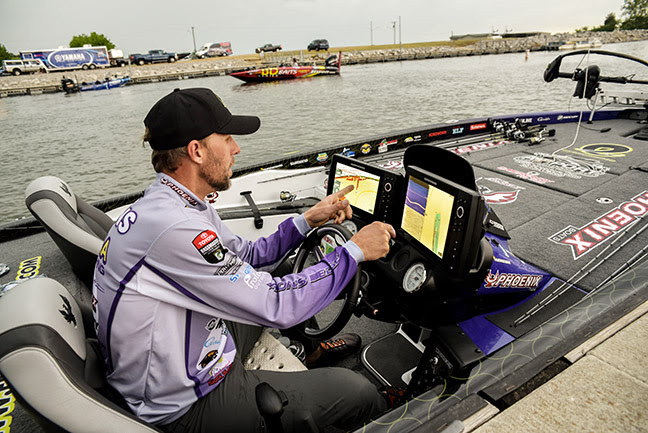 Now consider that pro anglers on BASS, FLW, and NWT circuits like Aaron Martens, Bobby Lane, Jr., and Kevin Van Dam are using the exact same units as they compete at the very top of the fishing game. Yes, HELIX 9 and 10 units are that good. The bottom line? Anglers now have access to pro-level features at a realistic price. And you can take that to the bank, pun intended.